Facebook says $19 billion WhatsApp acquisition is now official. LinkedIn now shows more info about who viewed your profile. These stories, and more, in today's Morning Social Media Newsfeed. With Facebook’s $19 billion acquisition of cross-platform messaging application WhatsApp now completed following European Commission approval last week, WhatsApp co-founder and CEO Jan Koum and co-founder and vice president Brian Acton were on the receiving end of financial rewards announced by Facebook Monday. Facebook revealed in Form S-8 and Form 8-K filings with the Securities and Exchange Commission Monday that Koum received 24,853,468 restricted stock units that are set to vest over a four-year quarterly schedule, with about 20 percent vesting Nov. 15, 2015. 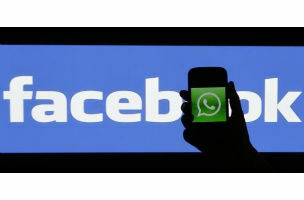 Forbes Facebook says it has wrapped up its landmark $19 billion acquisition of WhatsApp, a deal that was hashed out in Mark Zuckerberg’s house over the course of a few days in February and sealed over a bottle of Jonnie Walker scotch. WhatsApp has continued to run its operation completely independently since then, but the closing of the deal marks the start of a gradual integration as Facebook gives the world’s biggest mobile messaging service legal and administrative support and — eventually, we can presume — finds new ways to monetize the company it spent more than Iceland’s GDP on. The Wall Street Journal As part of the deal, Koum has been appointed to Facebook’s board. The merger will bolster the Menlo Park, Calif.-based social network’s position internationally and give the company a strong presence in mobile messaging. Reuters WhatsApp, which has more than 600 million monthly users, is among a new crop of mobile messaging and social media apps that have become increasingly popular among younger users. Snapchat, a privately owned mobile app that allows users to swap photos that can disappear after a few seconds, is raising money at a $10 billion valuation, according to media reports. CNBC WhatsApp, which has more than 70 employees, will continue to be based at its Mountain View, California, location. LinkedIn announced a new feature Monday that allows users to see more information about why someone viewed his or her profile. The new addition to “Who’s Viewed Your Profile” will show what actions a user took that led to a profile view, such as updating a profile or joining a group. Microsoft’s Blink burst mode camera app for Windows Phone devices was updated Monday with a feature specifically designed to make your GIFs look better. While we took a look at Blink’s redesign and new features back in March, there has always been one small issue with creating a moving image from a series of stills – if the image quality isn’t exactly the same, it’s obvious where each frame changes, which somewhat ruins the overall effect and efforts of the image stabilization algorithm. Twitter has rolled out version 3.1 of the app, which includes support for photos in direct messages, and also the ability to view and post tweets with as many as four photos. That last addition is interesting because multi-photo tweeting is something that previously you could only do on mobile Twitter apps, and not on Twitter.com.